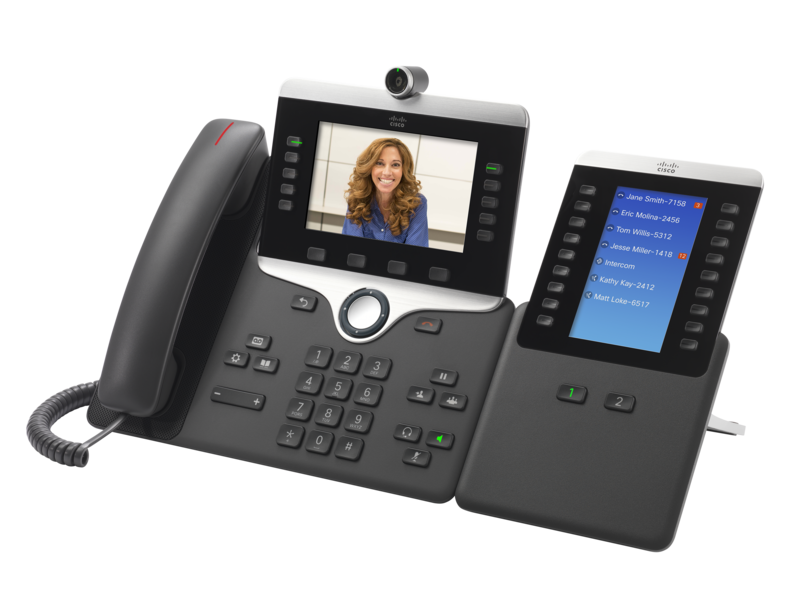 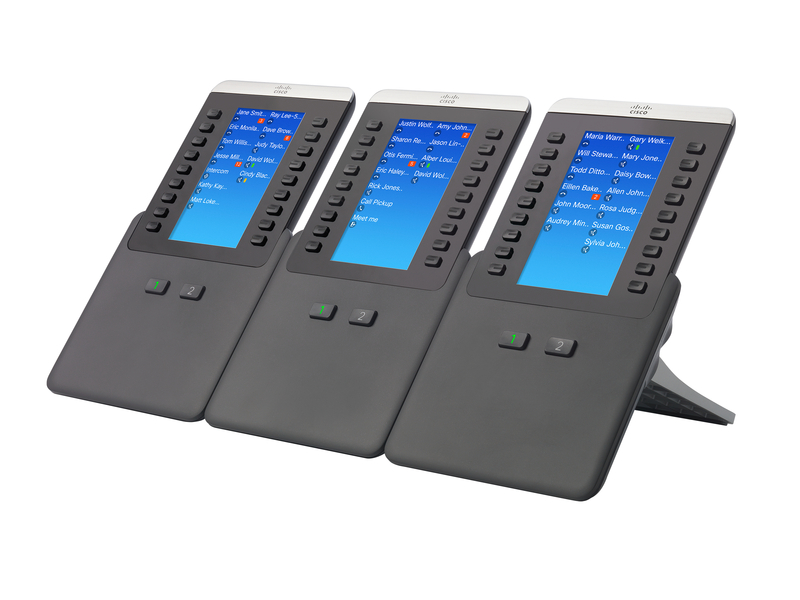 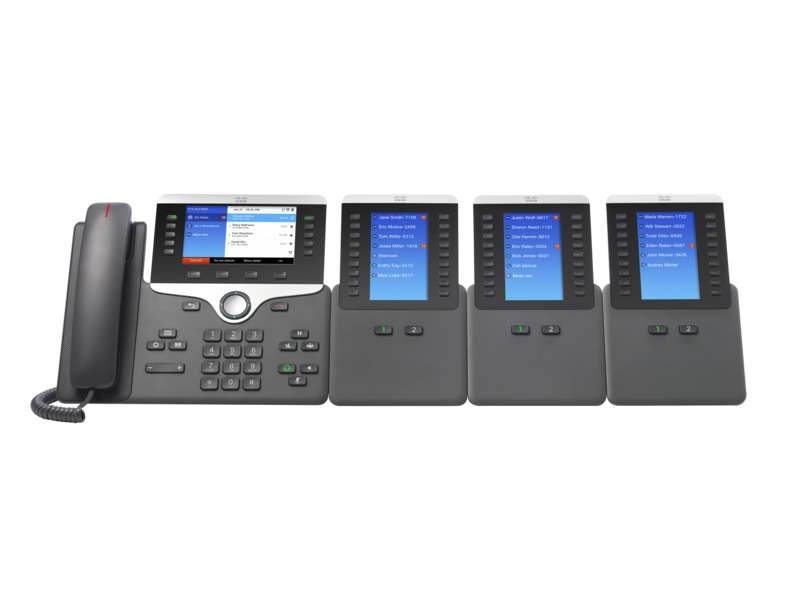 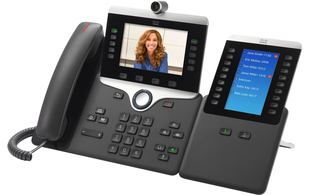 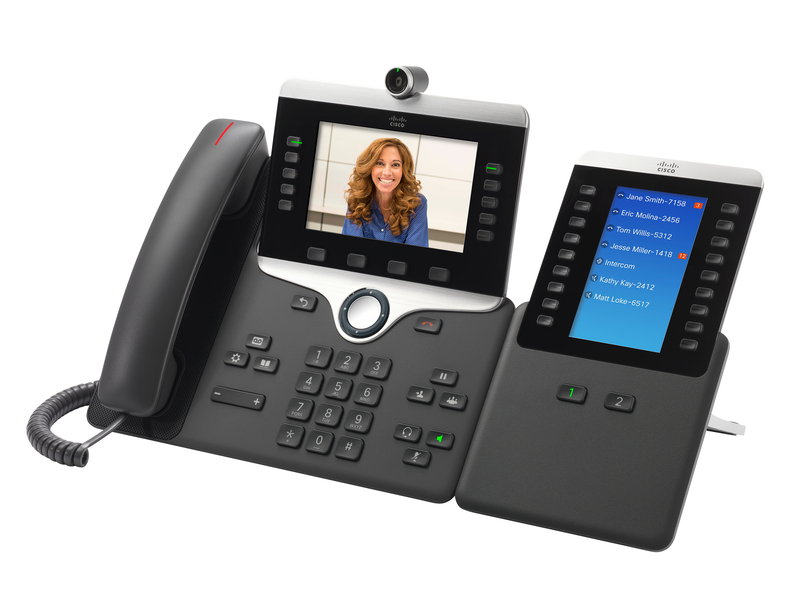 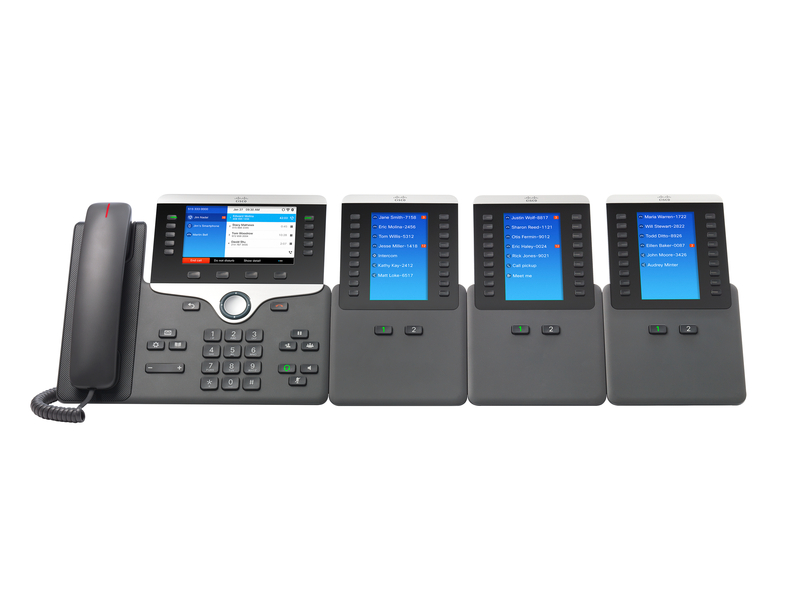 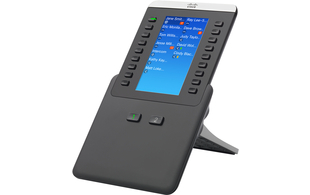 The Cisco IP Phone 8800 Key Expansion Module allow users to extend the capabilities of Cisco 8851, 8861, and 8865 IP Phone models with additional buttons and a large supporting colour LCD display. 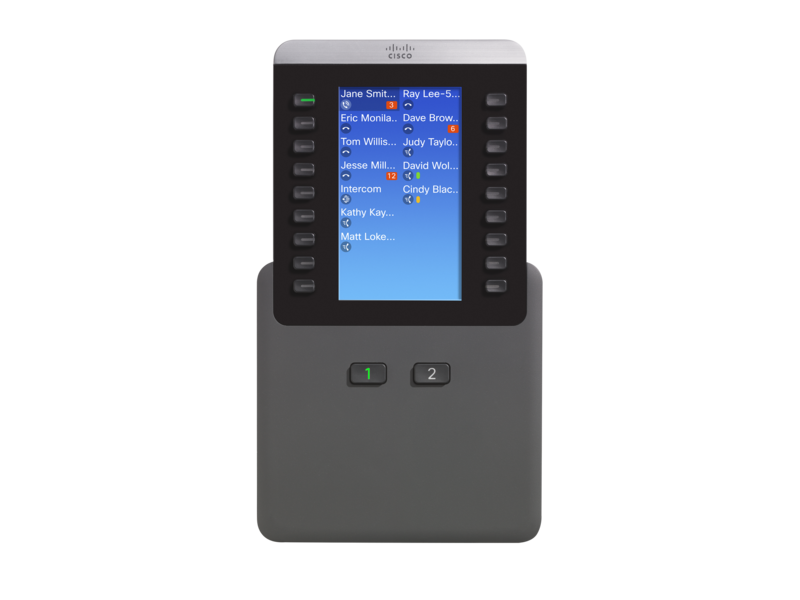 Each key expansion module adds 18 physical keys with access to 18 additional keys, using the illuminated page keys, for a total of 36 additional useful function keys. 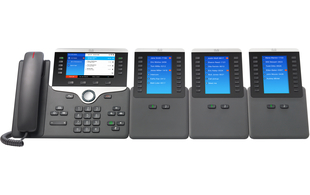 You can daisy chain up to three 8800 KEMs to the IP Phone 8861 and 8865, and up to two 8800 KEMs to the IP Phone 8851. 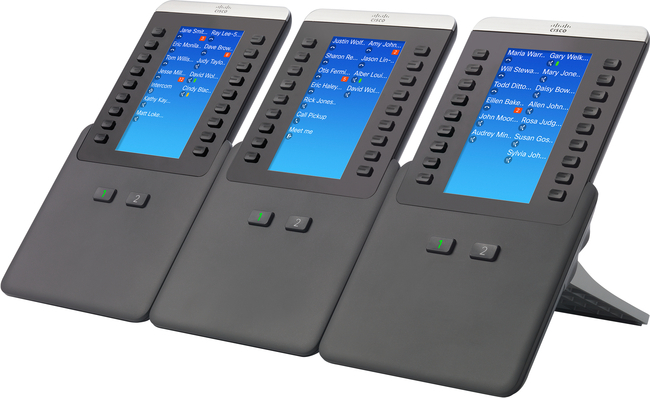 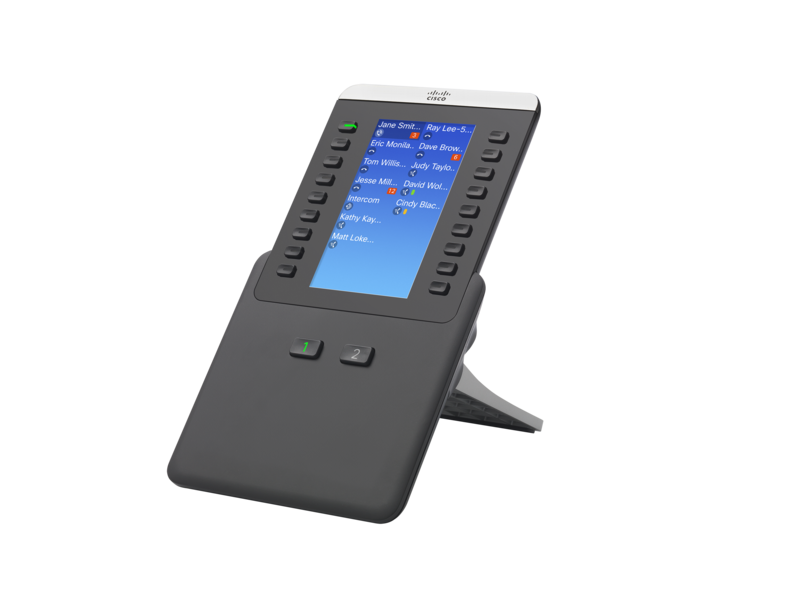 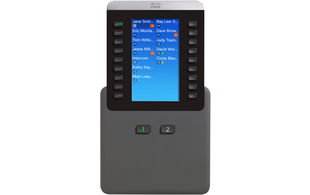 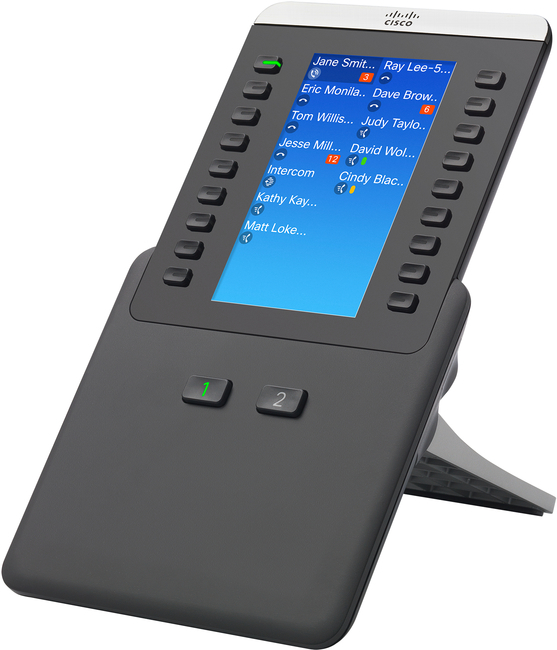 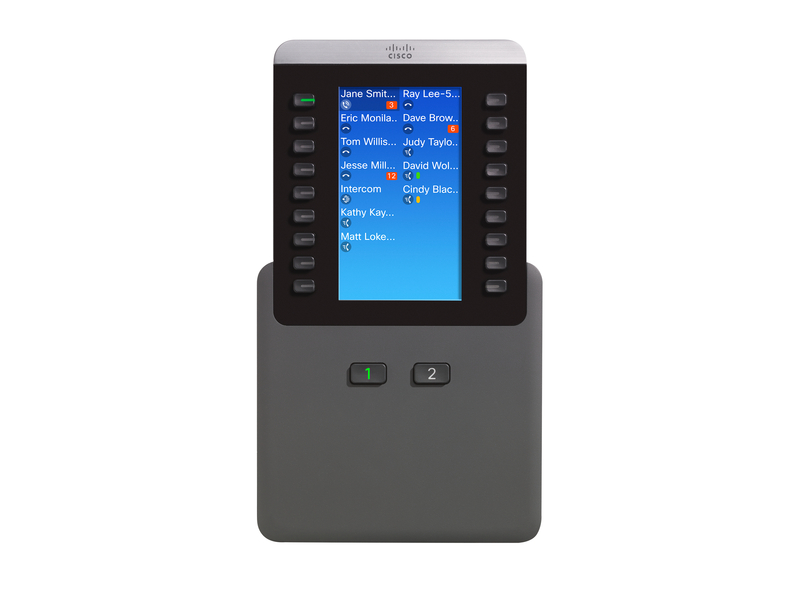 The 8800 KEM can provide additional keys for directory numbers, speed dial and or programmable feature keys. 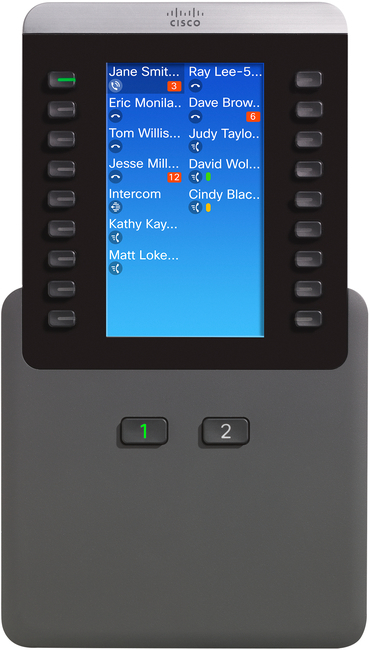 These keys are illuminated, and when configured as directory numbers or shared-line keys which allow for easy identification of line status. 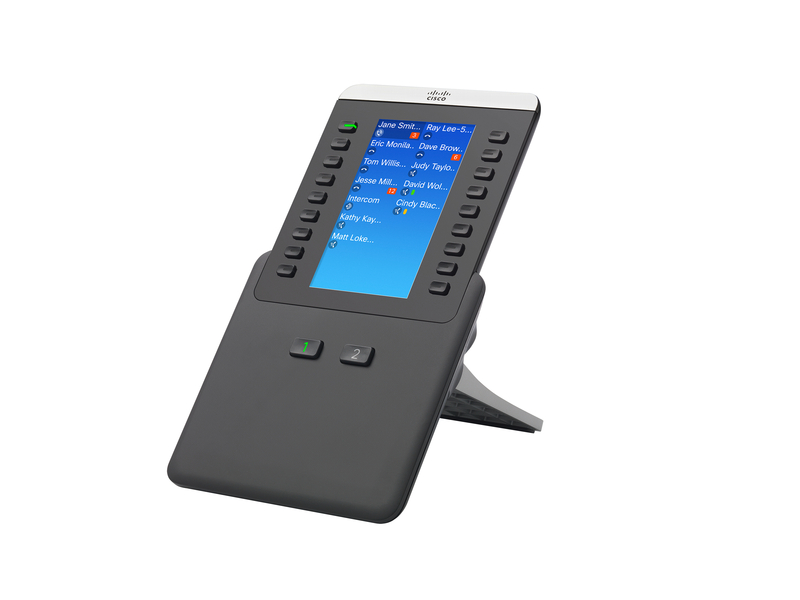 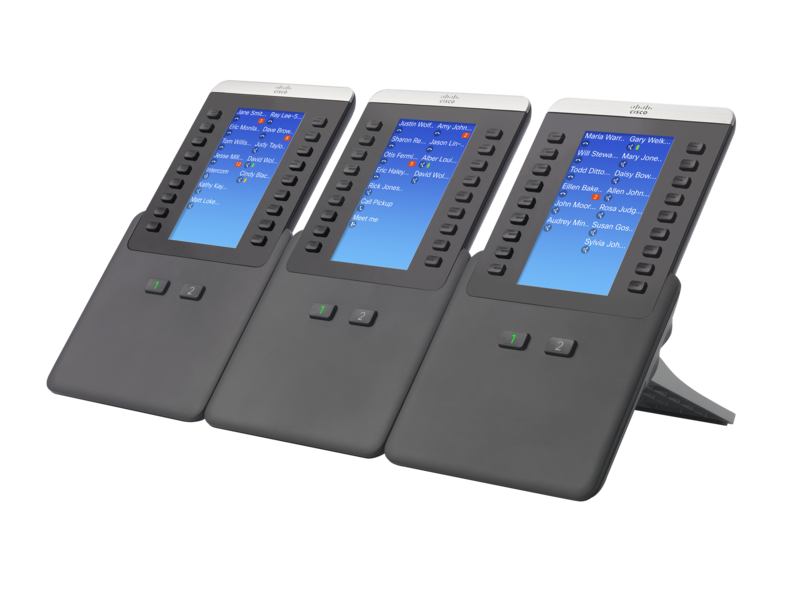 Note: The Cisco IP Phone Wall-Mount Kit for a single KEM is a nonlocking wall-mount kit that supports the 8851 and 8861 audio phones only. 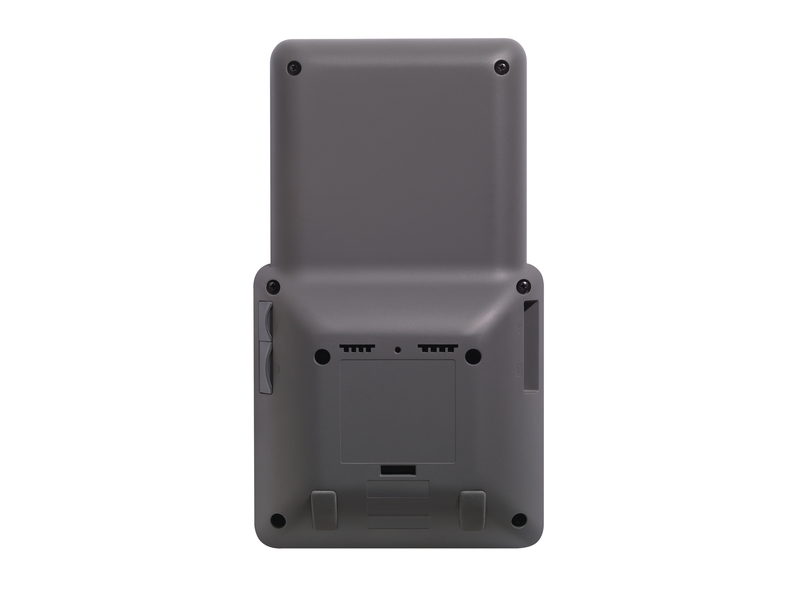 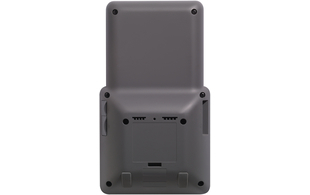 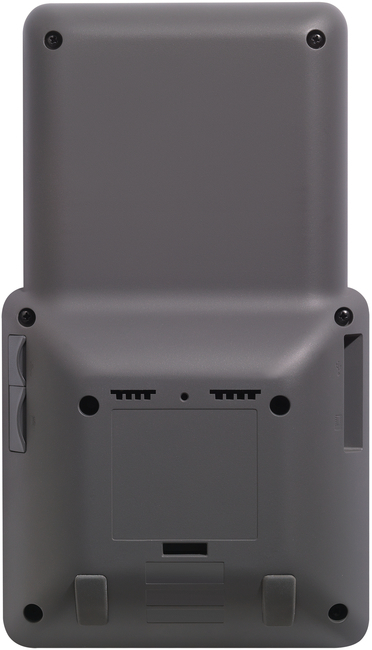 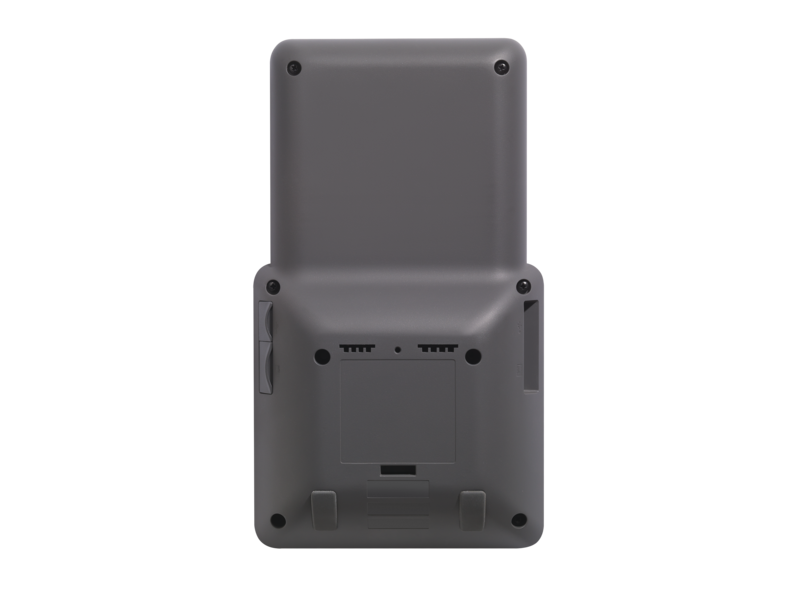 This wall-mount kit does not support the 8865 video phone and a KEM because of the difference in the rear housing on the 8865.